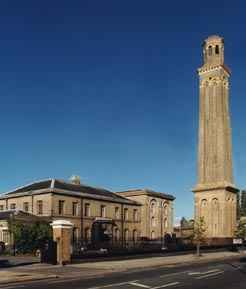 The Kew Bridge Steam Museum celebrates its 30th anniversary with a free community party on Sunday, March 6, from 11am to 5 pm. Visitors will be invited to join in the celebrations, which include a huge cake, steam baked of course! The first 30 visitors through the door on March 6th will get one year's free membership to the museum. The Museum expects over 1,000 Londoners to join in the celebrations, and to mark the occasion admission will be FREE to all visitors. In celebration of the museum's 30th Birthday, a day-long series of events entertaining visitors will include; Fullers dray, a steam roller, children’s fairground rides, steam railway rides, face painting, a model railway display and East Peckham Silver Band performing, all transforming the museum into London's biggest indoor birthday party. Plus a 'blind' water tasting! Can you tell the difference between tap water and a famous brand of still mineral water? Apparently most people can't. Also during the day we aim to operate everything that has been restored over the last 30 years at least once. "We look back with pride at the last 30 years. So far through our doors we have seen over half a million visitors, thousands of schoolchildren, we have restored 16 engines to working order, including three of the massive beam engines, built the only major gallery on London’s water, restored six listed buildings including our landmark tower as well as presenting more than 200 special events and exhibitions." said Lesley Bossine, Director of the Museum. "We want to celebrate how much we have achieved, and look forward to the next 30 years, and so we are inviting everybody to join us." The Birthday celebrations will also launch a series of major gallery re-developments at the Museum with models showing how the museum will be transformed by 2006. Thanks to a Heritage Lottery Fund grant of nearly £250,000, work has been completed on the restoration of the Grade I listed Engine House and the adjacent Grade II listed Electric House. The buildings, which were in a poor state of repair, have been made watertight, conserving both the buildings, the engines and exhibits inside. The museum is now working on the new displays and events that will take place within the buildings and visitors to the fun day will have a chance to comment on the plans. The day is also an opportunity for anyone thinking of joining the volunteer workforce, to come down for an informal chat with other members of staff. at traffic lights before Kew Bridge. Click here for a map. £5 Children (5-15 years). £4.00 Family Ticket: £18. bus). South Ealing (Piccadilly Line) the 65 bus.